Ideally, teeth should be brushed every day, but any brushing is better than none. Your dog’s teeth are made up of the same components as all other mammal teeth, including yours. Without regular brushing and periodic professional cleanings, a soft, sticky film of bacteria called plaque builds up on your teeth. Eventually, plaque accumulates and hardens into calculus, allowing millions of bacteria to move into your gums and the structures that hold the teeth in place. The first sign of gum disease in people is bleeding when brushing. Eventually, decay, gum recession, and tooth loss occur. As time goes on, the infected gums recede, and the teeth rot (usually painfully) and ultimately fall out. Why Do Dogs Need Dental Care? Many people think dogs don’t need dental care because they come from wolves, and wild animals like wolves don’t have their teeth brushed or scaled. While that’s true, keep in mind that not only is a wolf’s diet different from what our pets eat, but the shape of a dog’s mouth, the size of its teeth, and the way they all fit together are also different. The size and shape of dogs’ mouths vary depending on their breed. The teeth of many canine breeds are crowded compared with wolves’ teeth because dogs have a smaller jaw and a more rounded face. What’s more, our dogs live longer than their wild ancestors, who don’t often live long enough to experience severe dental disease. 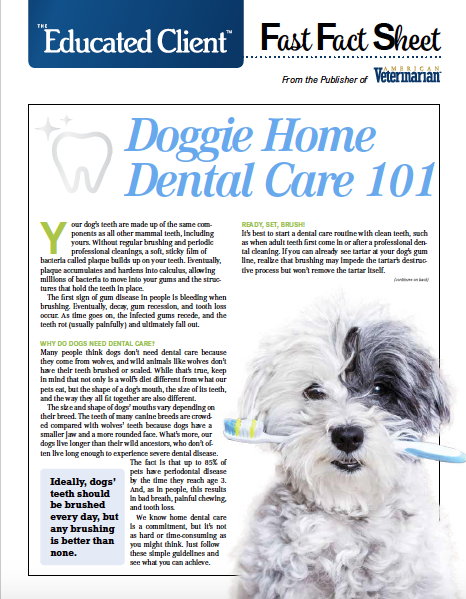 The fact is that up to 85% of pets have periodontal disease by the time they reach age 3. And, as in people, this results in bad breath, painful chewing, and tooth loss. We know home dental care is a commitment, but it’s not as hard or time-consuming as you might think. Just follow these simple guidelines and see what you can achieve. It’s best to start a dental care routine with clean teeth, such as when adult teeth first come in or after a professional dental cleaning. If you can already see tartar at your dog’s gum line, realize that brushing may impede the tartar’s destructive process but won’t remove the tartar itself. Ideally, teeth should be brushed every day, but any brushing is better than none. 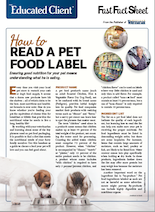 The process should not be a struggle for you or your pet, so take it slow, offer lots of praise, and have fun while improving your dog’s health. 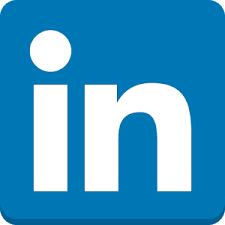 As with most jobs, better tools make it easier to accomplish your task and provide more effective results. When it comes to selecting a toothbrush, size matters. The best brush to use is one with soft bristles that you can hold at an angle that’s comfortable for both you and your pet. Your hand should not be inside your dog’s mouth. We can offer recommendations based on your dog’s individual oral anatomy. You can opt to start with a finger toothbrush, which is a piece of textured rubber that you place over your finger to massage your dog’s teeth and gums. Finger brushes allow you to reach the spaces between teeth where bacteria and tartar thrive, particularly in small dogs. You’ll also need to use a toothpaste that’s made just for dogs. Human toothpaste contains artificial sweeteners that can be harmful to dogs. And, as much as we may enjoy a minty-tasting toothpaste, most dogs do not.  Canine toothpaste comes in flavors they like, such as chicken and beef. Start slowly with the toothbrush or finger brush of your choice. Put some dog toothpaste on the brush, and let your dog lick it off. Once he looks forward to getting the toothpaste, lift the lips with your fingers and brush the teeth that you can reach easily in the front of the mouth. Don’t worry if you only get a few teeth the first week or so. Once your dog is used to the idea of having his teeth brushed, begin to work the toothbrush like you would your own—over both sides of all the teeth. 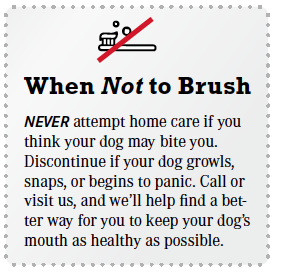 Realize this may takes weeks to achieve and you may never get your dog to stop trying to chew the brush. Just relax, and do the best you can. Like any new habit, start small and increase success by adding a new habit on top of one you already have. That makes for the greatest chance of success. 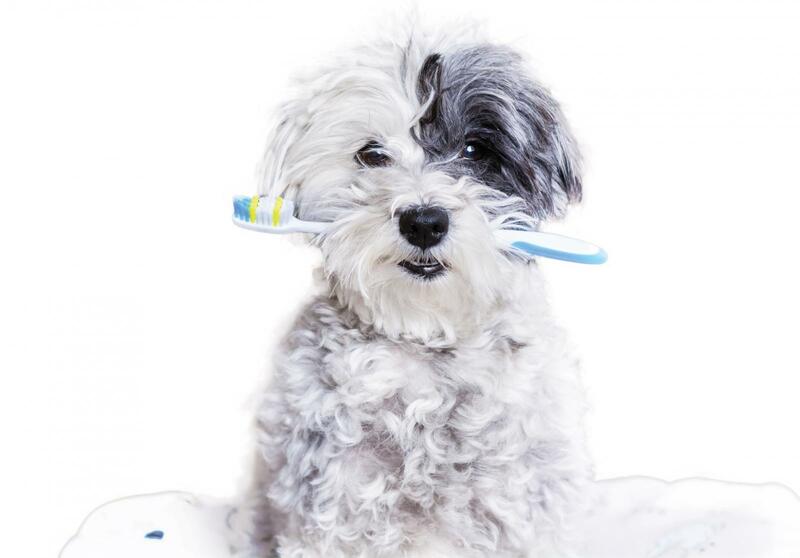 Brush your dog’s teeth at night or in the morning when you brush your own teeth. And remember, professional dental cleanings should be a part of his healthiest life, but good home care may help you your pet go longer between cleanings. 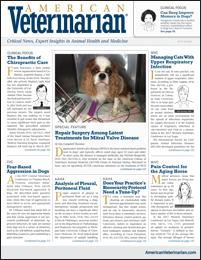 Click here for all American Veterinarian® client education materials.